The Best Beauty Podcasts from thousands of Beauty Podcasts on the web using search and social metrics. Subscribe to these audio podcasts because they are actively working to educate, inspire, and empower their readers with frequent updates and high-quality episodes. Beauty Podcast newsletter is a comprehensive summary of the day's most important audio podcasts episodes from the best podcasters on the web, and delivered to your email inbox each morning. To subscribe, simply provide us with your email address. London About Podcast Outspoken Beauty is the UK's most honest, straight talking beauty podcast featuring interviews with an array of celebrities, editors and influencers in the beauty industry. Hosted by beauty journalist and broadcaster Nicola Bonn and beauty novice Rachel Jones. Expect fierce debate, candidness and the very best product recommendations. Facebook fans 116. Twitter followers 1,304. About Podcast Breaking Beauty, the podcast about how to break into the beauty business. Facebook fans 573. Twitter followers 502. About Podcast Welcome to BEAUTY NEWS podcast. Here we discuss all things new in makeup releases.For more updates on these, subscribe with us. Facebook fans 10,481. Twitter followers n/a. New York, NY About Podcast Beauty Is Your Business is a podcast about innovation, technology and business in the beauty industry. Facebook fans 43. Twitter followers 85. About Podcast Welcome to Full Coverage! A podcast for beauty addicts, by beauty addicts. Join make-up artist, Harriet Hadfield and author, Lindsey Kelk as they discuss everything happening in the world of beauty. Every episode, Harry and Lindsey will be discussing the latest launches, cult favourites and any sly industry gossip that comes their way. Facebook fans 904. Twitter followers 545. Los Angeles About Podcast Hosted by celebrity esthetician & industry expert Lori Crete, each Beauty Biz Show episode is designed to help you tap into your best success and leave you feeling inspired to build the beauty biz of your dreams! Featuring industry icons and gurus, revenue-driving tips and motivational messages, Lori and her guests inspire you to burst through stagnant industry norms to flourish in your profession and make a beautiful, abundant living doing what you love. Facebook fans n/a. Twitter followers 3,268. Baltimore, MD About Podcast Scandalous Beauty is a beauty podcast for Women of Color that features interviews and commentary from top artists and influencers in the industry, plus beauty news and reviews by host Erin Baynham. Facebook fans 7,224. Twitter followers 16,688. San Jose, CA About Podcast Tips, ideas, information and homemade skin care remedies. Expert Sheetal is a scientist in human genetics and the founder of Apsara Skin Care. In these informative segments Sheetal teaches you reliable and effective ways to get glowing, ageless and healthy skin; as well as gorgeous hair. Facebook fans 328,794. Twitter followers 5,506. About Podcast Which night creams will make you look well-rested, how long can you really last on Whole30, can emptying your closet actually bring you joy, and is the Hanacure mask really just intended to get you to post an unflattering photo of your face mid-mask on Instagram? These are the kinds of self-care questions that wellness addicts and writers Kate Spencer and Doree Shafrir discuss each week, along with a special guest. Facebook fans 3,515. Twitter followers 2,031. Hampshire, UK About Podcast In this podcast Kirsty M talks about her favourite beauty products, new discoveries, places she has been and websites that Ishe reviewed, all from the perspective of someone who is blind. International About Podcast Formula Botanica is the world's leading accredited online Organic Cosmetic Science School. Listen to this podcast to know more about organic cosmetics. Facebook fans 31,945. Twitter followers 9,003. About Podcast Hosts (and friends) Jessica Matlin and Jennifer Goldstein bring you the big, juicy, world of beauty on their award-winning weekly podcast. Jess & Jenn are plugged in to the industry's latest news and share their inside access along with candid stories of their beauty adventures, from celebrity interviews and freaky new facials to miracle products and epic beauty fails. Each week, they also get advice from their favorite people in the beauty business, makeup artists, and other industry experts. Facebook fans 1,762. Twitter followers 1,348. About Podcast The Clean Hub is helping hundreds of clean beauty founders grow their business through our resource hub and clean beauty retail partnership. Listen to this podcast to know more clean beauty. Houston, TX About Podcast Welcome to All Things Beauty, where we deliver the latest in makeup, haircare, and fashion trends that fit your daily style and monetary budget! Facebook fans 2,067. Twitter followers 451. About Podcast Rochelle and Erin, two physician assistants (PA) in the aesthetics/plastic surgery field, discuss cosmetic procedures, makeup and beauty galore! 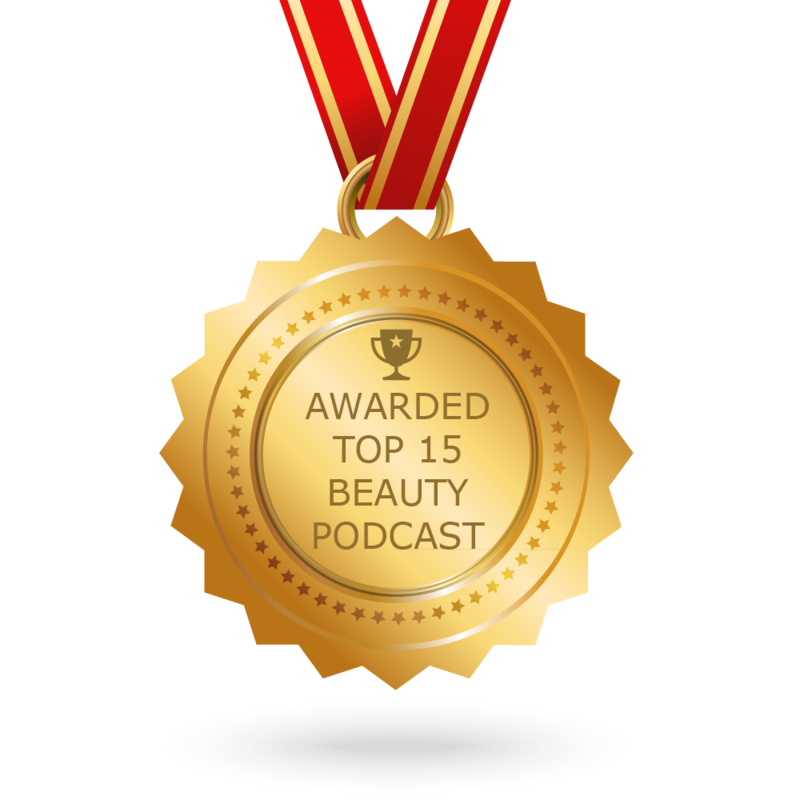 CONGRATULATIONS to every podcast that has made this Top Beauty Podcasts list! This is the most comprehensive list of best Beauty Podcasts on the internet and I’m honoured to have you as part of this! I personally give you a high-five and want to thank you for your contribution to this world.